Paddleboarding: Know about the best standup paddle boarding tours and operators. Fort Hamilton (Hamilton): Great fort overlooking Hamilton harbor and built in 1870s. Shopping in Hamilton: Hamilton is the main shopping center in Bermuda. Know about the great stores in Hamilton, what they offer, their location using a map, store hours and more. Astwood Cove - Park & Beach (Warwick Parish): A beautiful grassy park overlloking the ocean and below that is the stunning pink beach. Church Bay Beach (Southampton Parish): A small but locals' favorite beach for snorkeling. Opposite the entry way is the beautiful St. Anne's Church - an Anglican parish church, another great attraction. Sea Glass Beaches: Several beaches offer magnificent sea glasses of different colors. Couple of them are located in Sandys parish, another one in St. George's parish. Reef or Wreck Dive: Bermuda has all the ingredients for unparalleled scuba diving, and even for beginners. Other than numerous reefs offering views of colorful and wide range of fish & corals, there are large number of shipwrecks in the waters here to explore. Harbor Nights (Hamilton): A popular island festival held in Hamilton City on Wednesdays during summer. Great opportunity to experience Bermuda's culture, traditions, local food and heritage. Admiralty House Park (Pembroke Parish): it has a lovely parkland good for picnics, a small beach surrounded by cliffs, and even a cave. An unknown gem which very few know and visit. Spittal Pond Nature Reserve (Smith's Parish): Walk the trail through Bermuda's largest nature reserve. It has a large pond, many plantations, unique wildlife, strange rock formations on the shore created by wave actions, and lovely views of the water. It's also a great bird sanctuary. Eat the Bermudian way: When you visit Hamilton City, you can see food trucks, vans and even carts at several places including one right near the Ferry terminal on Front Street. This is where you get cheap yet delicious Bermudian fares like Bermuda fish chowder, fish cakes, Jerk chicken, seafood prepared in Bermudian way, codfish brunch on Sundays and lot more. During lunch time many office goers can be seen eating out of the trucks. Afternoon Tea: You won't find a Bermudian who is not habituated to traditional English afternoon tea which is served with sweets, finger sandwiches and homemade cookies. Experience this great tradition. John Smith's Bay Beach (Smits Parish): A great beach popular with locals and good for snorkeling. Shelly Bay Beach (Hamilton Parish): A family beach with shallows making it great for swims. Has a children's playground, and a long boardwalk along the shoreline leading to the famous Railway Trail. Cooper's Island Nature Reserve (St. Davids, St. George's Parish): A great nature reserve with lovely views of the water. Located very close to Clearwater beach and Gombeys beach bar. Horseback Riding: Explore the trails along beaches and landscapes on a guided tour of horseback riding. Bermuda National Gallery (Hamilton): Great collections of local and international artwork. Daniel's head park & beach (Sandys Parish): Nice beach on western coast with water sports. Clocktower Mall (Sandys Parish): A shopping mall located at Royal Naval Dockyard and full of boutique stores. It has a couple of restaurants as well. Somerset Bridge (Sandys Parish): Smallest drawbridge in the world. West Whale Bay Beach (Southampton Parish): A south shore beach with a parkland and the Whale Bay Battery making it a nice place to visit. Chaplin Bay Beach (Warwick Parish): Another pink beach and part of south shore park. Historical Perot Post Office (Hamilton): Perot was the first Post Master General of Bermuda. Queen Elizabeth Park (Hamilton): A beautiful city park full of trees, flower beds and gardens. An ideal place to sit and relax, and even to have your packed lunch after a shopping spree in Hamilton. City Hall & Art Center (Hamilton): A central landmark of Hamilton, it's a venue for many important functions and exhibitions. It also houses Bermuda National Gallery. Dockyard Glassworks (Sandys Parish): A glass blowing studio where artists make exquisite glass pieces using glass blowing technique. Located at Royal Naval Dockyard. It's co-housed with Rum Cake Company which too is another attraction. Rum Cakes are special and original to Bermuda. Botanical Gardens (Paget Parish): Good place to explore Bermuda's flora. Full of flower gardens and plantations. Also has a cafe and a gift store. A free guided walking tour is offered on some days. Somer's Garden (St. George's Parish): A nice park for relaxing. It's named after Sir George Somers, the founder of Bermuda. His heart was buried at this park and body taken back to England. Fort Scaur (Sandys Parish): A historic fort with lovely parkland. The fort was built to protect Royal Naval Dockyard from possible land attacks from enemies. St. Catherine's beach (St. George's Parish): A nice quiet beach next to St. Catherine's fort. Clearwater beach (St. Davids, St. George's Parish): A great family beach with rentals and food available at Gombeys Beach Bar. Cooper's Island Nature Reserve here is an added attraction. Town Hall (St. George): A central landmark of St. George and located at Kings Square. Bermuda Historical Society Museum (Hamilton): Showcases many rare Bermuda collections including coins, silver, furniture, books and lot more. World Heritage Centre (St. George): A great place to understand St. George's history and how it became a UNESCO World Heritage Site. They use movies, dioramas, panels etc to explain the stories. Victoria Park (Hamilton): A nice park with many trees, lush lawns, flowerbeds and bushes. There is also an old ornate Band Stand here where open concerts are held. Verdmont Historic House Museum (Smith's Parish): An grand Georgian style house built in early 1700s. It's now a museum showcasing old furniture and household items of the period. St. George's Historical Society Museum (St. George): One of the oldest and unique houses in St. George which was built in 1730s. It retains the household items of the family who once live here. There is also an old printing press at the basement. 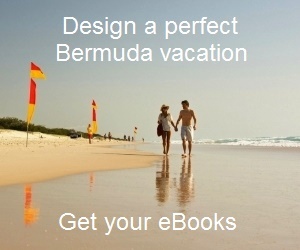 Bermuda National Library (Hamilton): Great collection of books, video and audio. Free wifi. Walking Tours: Explore Bermuda's trails, historical sites, beaches, caves, forts, churches and lot more as you take self guided walks or join professionally guided walking tours. Bermuda's Traditional Homes (St. George's Parish): Set out to explore the old traditional houses of the island that still exist since centuries and appreciate the architecture. Bermuda National Trust Museum (St. George): A good place to know about settlement and subsequent development in the island, Bermuda's role in American Civil War, and many other interesting stories. Stonehole Bay Beach (Warwick Parish): A small scenic pink beach on south shore and free of crowd. Achilles Bay Beach (St. George's Parish): A small nice beach o one side of St. Catherine's Fort. There is a restaurant & bar accessible from the beach. A great place to watch sunset. Train Trolley Tours: A train like road vehicle. Available at Hamilton, St. George and Dockyard. Great relaxing way to tour several landmarks in the area and hear audio commentary. Horse Carriage Rides: A romantic way to see St. George and enjoy its charm as you pass by beaches, forts and historical sites. Also available at Hamilton and Dockyard. Jet Ski Tours: Guided tours on harbors and calm ocean areas showing you lovely sights from water. Segway Tours (Royal Naval Dockyard, Sandys Parish): You can explore the dockyard attractions on these eco-friendly self-drive machines. St. David's Lighthouse (St. Davids, St. George's Parish): A great lighthouse on the eastern coastline and overlooking the ocean. It was built in 1879. Tucker House Museum (St. George): Another old house showing glimpses of early Bermudian life. Henry Tucker, a successful and influential person lived here. Bermuda Craft Market (Sandys Parish): Great collection of local art and craft. Located in Dockyard. Ferry Reach Park (St. George's Parish): A 64-acre parkland with walking trail, forested area, lake and a beach. A great place for spending half a day with family. Get a rejuvenating spa: Relax and rejuvenate yourself with a delicate spa treatment or a massage on a lovely beach, or in a natural cave amongst spectacular limestone formations, or in garden setting. Try Cliff Jumping: This is a favorite Bermudian sport - jumping off the cliff into turquoise water, swimming back up to the shore, then climbing back up to the cliff top and jump again! Bermuda Society of Arts (Hamilton): Oldest art society in the island. Great collections of art work from local artists and college students. Located inside City Hall & Art Center. St. Anne's Church (Southampton Parish): Beautiful Anglican parish church located opposite the entry way of Church bay beach. So you can cover both attractions. Gates Fort (St. George's Parish): It was built in early 1600s to protect the narrow channel through which the ships & boats entered St. George's harbor. Great views of the harbor and the channel. Alexandra Battery & Beach (St. George's Parish): A British fort overlooking the eastern water. The beach here is full of sea glass. So two attractions in one place. Spanish Point Park (Pembroke Parish): A lovely park with lush lawns and great view of Hamilton harbor. You can also see the remains of a floating dock on water (like scraps) that was one brought in to the island from England but could never be later discarded out of the island. Heydon Trust & Chapel (Sandys Parish): A large parkland with the smallest church in the island. Bird Cage (Hamilton): A structure once police used to control traffic, now a landmark. Sessions House (Hamilton): This is the House of Assembly where parliamentary sessions are held. Cabinet House (Hamilton): Meeting place of Bermuda's cabinet ministers. Deliverance (St. George): Replica of the historical ship that was built in Bermuda in early 1600s by Sir George Somers and his men to continue their journey to Jamestown. North Rock Brewing Company (Smith's Parish): A traditional pub serving freshly brewed local beer of different flavors. Once it was also a brewery. The food here is good too and portions are large. The brewery has been consolidated with Dockyard Brewery, which too is worth a visit. Albuoy's Point (Hamilton): Has a waterside park with great views of Hamilton harbor which is usually full of boats. Pick up snacks from a lunch wagon parked here. Toilets available. Located near ferry terminal. Desmond Fountain Art Exhibition: Bronze sculptures from arguably the greatest artist Bermuda has ever produced. His artworks are on display at several museums and galleries across the island. St. Paul's Church (Paget Parish): An Anglican church with a graveyard. Bermuda Arts Centre (Sandys Parish): Great creative workshop and art gallery of local artists. It's located at Royal Naval Dockyard. Paget Marsh (Paget Parish): Nature Reserve to explore Bermuda's native plantations including cedars as you take the boardwalk that goes through heavy plantation area. There is also a large pond. Palm Grove (Devonshire Parish): Lovely manicured garden and pool. St. Theresa's Cathedral (Hamilton): Catholic church used heavily by the Portuguese community here. Somerset Long Bay Beach (Sandys Parish): A beach and associated nature reserve mostly used by locals and remain secluded. There is also a children's playground. Carter House (St. Davids, St. George's Parish): Built in 1640 as a private home in vernacular architecture, the building has survived the passage of time. It is now a museum. There is also a replica of a dwelling hut of early settlers at the grounds of Carter House. Old Rectory (St. George): One of the oldest private homes with a nice garden setting. The Birdsey Studio (Paget Parish): A studio which belonged to a famous painter of Bermuda. Bridge House & Gallery (St. George): One of the oldest houses in Bermuda which has been very well maintained. There is an art gallery at the ground floor. Fort George (St. George's Parish): One of the oldest forts on north shore built in early 1600s. Martello Tower (St. George's Parish): A cylindrical tower like fort built in early 1800s by the British. Camden House (Inside Botanical Gardens, Paget): Official residen of Bermuda's Premier although he doesn't live here. Visit the house which is built in grand Georgian architecture amidst sprawling lawns and gardens. You can see many interesting and valuable exhibits & items inside. Somers Wharf (St. George's Parish): A nice shopping and dining complex by the waterside. Bermudian Heritage Museum (St. George): Know about Bermuda's dark days of slavery through many exhibits and artifacts of the period. Cobb's Hill Methodist Church (Warwick Parish): Built by slaves and free blacks to finally have a place of worship. Construction work mostly took place in moonlit nights when slaves had free time. Gilbert Nature Reserve (Sandys Parish): 5-acre of forested area with a trail. Has many plantations. Black Watch Pass and Well (Pembroke Parish): A drammatic pass with towering limestone rocks on both sides of the road. At the end there is a well which was dug up to cater to poor during a drought. The well is now capped and no longer visible. But the pass is of course worth a visit.